People get sick and they get hurt. That’s just one of the things that happen in life. A person can be walking down the street and they take one wrong step and then they find themselves in a position where they’ve broken their leg in multiple places. That is the kind of thing that causes quite a bit of pain and may require a hospital visit. Generally speaking, when that type of situation arises, a person calls emergency services. But after the emergency, they may find themselves needing Medical Transportation Services afterward. But calling for emergency services is generally frowned upon in a situation that is not actually an emergency. Looking for Non-Emergency Transportation in Texas can be a tricky thing. After all, most cab companies and drivers for ride-sharing apps tend to have a rather dim view of passengers who bleed all over their seats. But there are medical transportation services out there if one only knows where to look. But there are a lot of factors to be considered as well. First and foremost is proximity. If you’re looking for Medical Transportation in Longview, Texas, you’ll probably want a local company or one based close by. You can probably call service in another state, but you might have to wait for them to arrive if they even service your area at all. 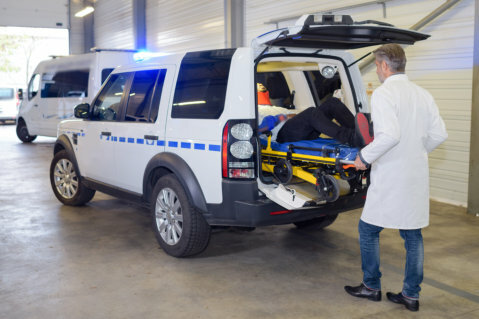 Most cars on the road aren’t equipped to deal with medical situations. They are built to get their drivers from point A to point B in comfort. So you’re going to want a company that has a fleet of vehicles designed for the various medical needs of the riders. But all the equipment in the world won’t matter without the people to use it. So it’s important for the staff to be train and certified to do their jobs. There are issues that limit transportation when infirm, and Force EMS is ready to tackle those issues. This entry was posted in Medical Transportation and tagged Emergency, Medical, Non-Emergency. Bookmark the permalink.